Last month, during his regular Post Cabinet press conference, Prime Minister Bill English was ‘grilled’ about whether he intends putting a charge on fresh water that is being commercially bottled and exported. The questions arose as a result of the presentation to Parliament of a petition signed by more than 15,000 people calling on the Government to impose a moratorium on freshwater exports. The petition was initiated by Ashburton locals, who were concerned that in spite of water restrictions being imposed on their town, the council was planning to sell a block of public land that had consent to bottle and export 40 billion litres of artesian water over a 30 year period, to a Chinese-owned company. 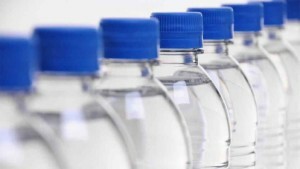 The Prime Minister responded to media questions by saying that as a result of ‘growing public concerns’ about the exporting of bottled water, he was referring the matter to a Technical Advisory Group for advice. According to a Cabinet Paper released last year to the NZCPR under the Official Information Act, the Technical Advisory Group had been established by the Government – along with an Allocation Team and a Joint Advisory Group – to develop policy options for the allocation of fresh water. Iwi Leaders had been intimately involved in the process, not only approving the work programme, but appointing their representatives onto each of the advisory groups. The agreed timetable meant that by the end of last year a range of reform options were to have been presented to Ministers, and this year, Cabinet’s preferred policy options are to be modelled, tested, and refined. Final recommendations for the future of fresh water management are expected to be made to the incoming government by the end of the year. The last phase of the planned reform process, which is scheduled for next year, includes some limited public consultation, with the final policy to be implemented “through either amendment to the National Policy Statement for Freshwater Management, regulations or legislative change”. In other words, once an agreement is reached with Iwi Leaders, the Government will consider pushing through major changes to fresh water management in New Zealand by the back door, using a National Policy Statement or regulation – both of which would avoid the democratic Parliamentary process. By designing a strategy to introduce the race-based control of fresh water using a secret process with no public involvement until 2018 – the Government is clearly hoping to avoid fresh water becoming an election issue. When pressed as to ‘why it’s so hard to charge’ for water, the Prime Minister outlined a range of matters that had to be considered: “who gets to charge, who gets the revenue, what the charge might be, whether you can do it legally without establishing ownership of the water”. When responding to media questions about what talks the Government has had with the Maori Party on the fresh water claim that is currently being considered by the Waitangi Tribunal, Bill English referred to the fact that the claim goes back to the sale of the electricity companies and a High Court case. In fact, it was National’s partial privatisation of the State Owned power companies in 2012 that triggered the current raft of Maori claims for freshwater. At the time, the Maori Council’s calls for an urgent Waitangi Tribunal hearing to stop the sales resulted in a two stage inquiry, with the first stage finding that “Maori had rights and interests in their water bodies for which the closest English equivalent in 1840 was ownership…” and that “…the nature and extent of the proprietary right was the exclusive right to control access to and use of the water while it was in their rohe”. Maori Council lawyer Donna Hall has previously claimed the Government did not provide adequately for “Maori proprietary water interests”. She explained that while traditionally, that meant a family’s right to access a particular body of water in their tribal area, in a modern sense, “It’s about access, use and partial control”. With the future control of the country’s fresh water being determined through secret negotiations between the Government and Iwi Leaders, the public is largely unaware that iwi demands are for the ownership of all Crown owned lake beds and river beds, along with the ‘water columns’. Their ultimate objective is full control of the country’s fresh water resource. “Lurking behind these physical problems are the demands of the Iwi Leaders Group which seeks ownership of the water which either rises in or flows through their various territorial areas as being a right preserved to them by the Treaty of Waitangi. If a right to charge for the use of such water is created it is unlikely that the various Maori hapu and iwi would be able to use all of the water arising within their areas – clearly what they are really seeking is the right to charge those activities that do use the water thus conferring on these small groups a stranglehold on the New Zealand economy. “For example the hydroelectric river schemes on the Waikato, the Tongariro, and Waitaki rivers are a bottomless pond of money to the owners of the water. When Labour was in Government, their fresh water reforms created the impression amongst tribal leaders that the privatisation of water rights was being planned, and they considered that if such a property right was created, they had a claim to it under the Treaty. This was the approach iwi had taken to successfully gain a $170 million settlement of quota, fishing company shares, and cash, when fishing quotas were created in 1986 as a property right. With the Ministry for the Environment estimating that fresh water is worth $35 billion a year to New Zealand, iwi have identified water as a huge windfall opportunity. Labour, however, refused the advances of iwi leaders and upheld the strong position taken by successive New Zealand governments, that water is not owned, but is controlled and managed by the Crown on behalf of all New Zealanders. It is worth reiterating that if any price is put on water, massive Treaty claims will undoubtedly be triggered – that will include compensation for past losses of revenue and royalties for the future use of fresh water. In light of the fact that everyone calling for a price on fresh water exports is therefore playing into the hands of the Maori sovereignty movement, let’s examine how valid the concerns that are being raised really are. According to the Minister for the Environment, New Zealand has more fresh water per capita than most other nations, with an average of 2.3 metres of rain falling nationwide each year. This equates to 145 million litres per person per year – seven times as much per person as Australia, 16 times as much as the US, and 70 times as much as the UK or China. Around 600 trillion litres of water flow through New Zealand’s lakes, rivers and aquifers annually, and of that, some 11 trillion litres – around 2 percent – is extracted. That means 98 percent of New Zealand’s fresh water supply remains untouched. Of the water that is extracted, six trillion litres is used for irrigation, two and a half trillion for industry, two trillion for local authority supplies, and half a trillion for livestock. Under common law and statute, irrespective of who owns the land over or under which fresh water flows, water in New Zealand is owned by no-one. That means there is no legal justification for any Maori claim to fresh water. Under the Water and Soil Conservation Act 1967 and the Resource Management Act 1991, apart from a personal allowance for those with water on their properties, anyone wanting to use water must gain a resource consent or ‘water permit’ from their local regional council or unitary authority. While no-one pays for the water, they do pay for permits and councils do charge for providing water to households and businesses either through rates or by volume to cover the cost of filtering, pumping, piping and treating water supplies. Of the 20,500 water permits on issue throughout the country, 41 are for the bottling of fresh water, and a further 30 are for multiple purposes including water bottling. Only 23 water bottling permits are said to be currently in use, and in 2016, bottled water exports accounted for only nine million litres – an extremely small proportion of New Zealand’s total annual fresh water use. While water is, of course, a major component of many other exports – each litre of wine exported is said to have used 200 litres in its production and each kilogramme of beef, 400 litres – in comparison, a litre of water that is bottled, produces a litre of water for export. Like any other business, water bottling also contributes to the wider economy, through the processing of the water – pumping, storage, filtration, and purifying – to the packaging, transporting, and shipping of the product to overseas markets, not to mention the employment of staff, the leasing of premises, the payment of rates, and so on. However, the bigger question, that needs to be considered by all New Zealanders – especially political parties – is do we really want to risk triggering a new round of Treaty claims, by putting a price on water, or is our best option to look for policies to improve the allocation of fresh water that do not include a charge? Should the Government introduce a charge on water? Many years ago, someone from one of middle eastern oil supplying countries, suggested their oil tankers should return to their homeland full of West Coast water. Too long ago to remember all the details, but the GREENIES objected strongly, claiming the tanks might be flushed after oil delivery, creating environmental pollution. Truth was the tanks would have been lined before refilling. This time the GREENIES stay quiet when plastic bottles [made from oil] are being filled for export. The Maori don’t care about any of that, just as long as the free ride from a gutless Government continues. The fact is, this country has a commodity that falls from the sky free, that much of the world wants. SOLUTION; Build the infrastructure to capture the resource, pass the cost of the infrastructure plus 15per-cent [GST] on to those who require the water. The sale agreement should also demand local employment. That way, even the Maori can earn some honest money.. A.G.R.